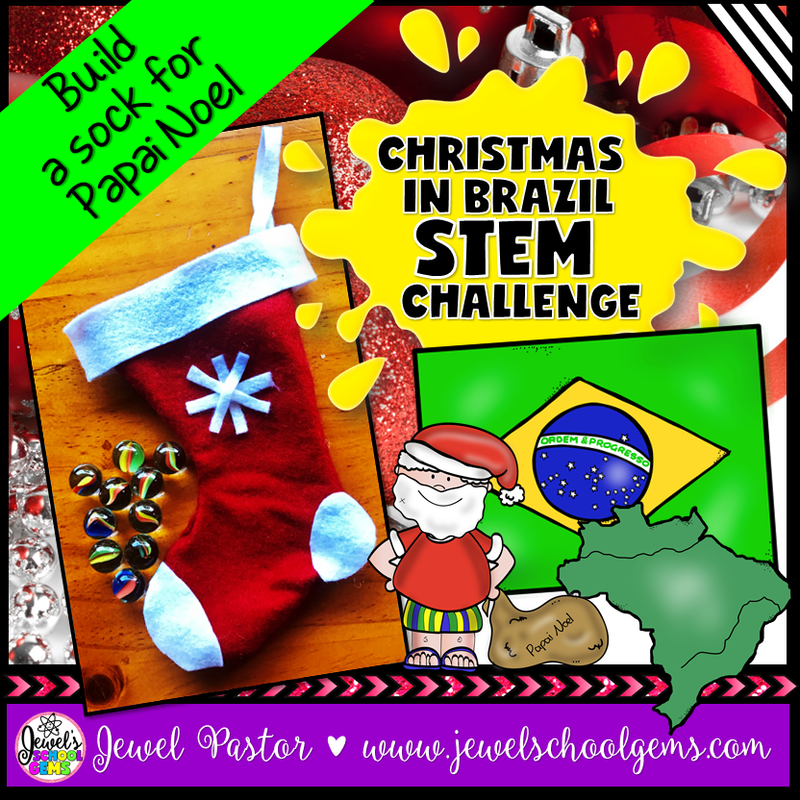 This Christmas in Brazil STEM Challenge is perfect for your Christmas around the World unit! It’s a fun, creative, and engaging way to get your students designing and building during this time of year. Challenge your students to design and create a sockfor Papai Noel using felt, glue, tape, stapler, and staple wires. The sock should be able to hold at least 20 marbles without breaking. You can also modify the task and include any other materials you would like students to use.